I’m the type of person who unpacks from a weekend away the moment I step back into the house. There’s something very satisfying about putting my things away in their rightful spots and tossing dirty clothes in the hamper. Within minutes of returning home, it’s like I never left in the first place. Maybe it’s so rewarding because I’m a homebody, or maybe it’s because I’m slightly OCD (onecrazydummy). It’s kinda scary when you identify with Annie Wilkes from Misery — noticing that the penguin figurine she has is pointing in the wrong direction! Yep, in my organized world, everything has a place and a direction too. Yet, it seems I’m lacking my direction now. Procrastination has taken over my life! Nothing made me realize this more than the used paint brush that sat wrapped in cellophane inside my fridge for well over a week. It’s a trick I learned somewhere so you don’t have to wash your brush right away if you’re going to do any touch-ups. There were only a few minor spots to go over, but it took me forever before I actually finished the job. What motivated me wasn’t that there was an unfinished chore to be done, but that I was worried somehow the paint toxins were leeching into all of our cheese slices and nectarines, thus giving us some rare form of cancer…which it probably already has. Sorry to be a Debbie Downer. Optimism has never been my strong suit. Before my daughter came along, I liked to do things in a timely manner…now that’s a thing of the past. And this is not just another ranting about how I don’t have time to do anything anymore…even though it sounds very similar. Because even when I have the time, I choose to put it off another day. So really there’s no excuse. It’s one thing to realize that my time is better spent cuddling and playing with my baby than worrying about how clean my house is, but maybe it’s time to stop dragging my feet when there are dust bunnies the size of tumbleweeds blowing across my living room floor and a foot of freshly fallen dust on my nightstand. 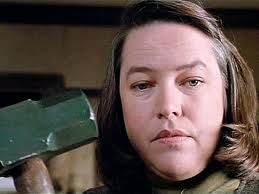 Annie Wilkes is a little scary. It’s just hard when you have kids. It’s difficult to focus, priorities shift. I didn’t know about the fridge trick. I’ll have to tell my wife (she’s the painter in the family). Hah, good one! 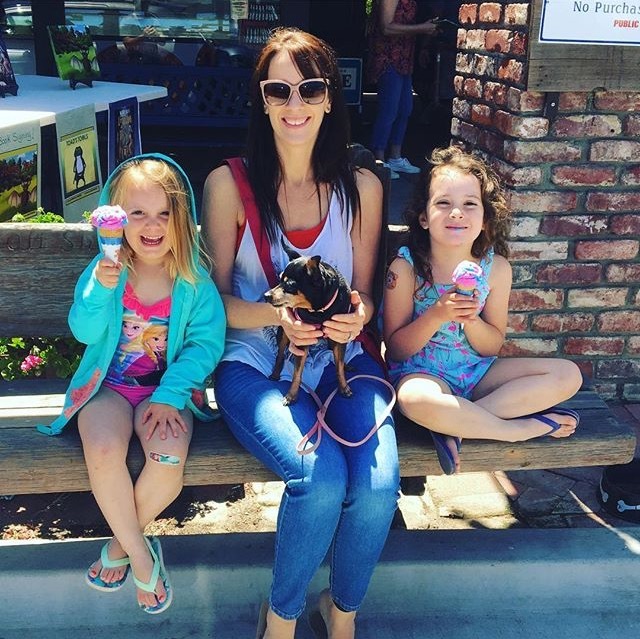 : ) My priorities have taken the biggest shift ever…more than I could’ve imagined before becoming a mom. And yes, I’m the painter in our family and it’s a pretty handy trick. Thanks for reading! Thanks, you’re right. The baby time is already slipping away too quickly. And there will always be dust bunnies! Thanks for the perspective.